With the 24-hour news cycle and 24-hour news networks, it is easy to think of the stories that are covered as nothing but stories. It’s easy for journalists to forget that these stories have affected people’s lives. This way of thinking can dehumanize the news. It makes it simply about getting the story and the information and nothing else. It completely ignores the call for journalists to minimize harm. The two most prominent examples of tragedies that received major coverage that I can think of are the Sandy Hook shooting and the Boston Marathon bombing. Social media played a major role in the coverage of both of these tragedies. Social media is undoubtedly a tool for reporters, but it must be used carefully. Social Media: Helpful or Harmful? The coverage of the Sandy Hook shooting was constant. Following the tragedy, it was practically impossible to turn on the television without seeing images from the school shooting. This alone is enough to anger many people. However, to make matters worse, there were actually many details of the incident that were inaccurately reported. One of the largest inaccuracies, if not the single largest inaccuracy, was regarding the identity of the shooter. It was initially reported that Ryan Lanza was the man responsible for the horrific happenings that day. His Facebook page was broadcasted on the news and published in articles on websites. What was the problem with putting Ryan Lanza’s Facebook profile out there? Had Ryan Lanza been the shooter, there would not have been a problem, but he wasn’t shooter. Adam Lanza, Ryan’s brother, was the actual shooter. 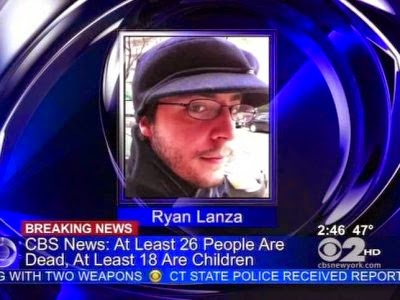 Ryan Lanza on CBS News. Not only did this sloppy reporting misinform the public. It also put the Lanza family under more stress than it was already under. In addition to reconciling with the fact that someone in their family was a murderer, they now had to also clear the name of an innocent family member. Like the coverage of the Sandy Hook shooting, social media played a major role in the coverage of the Boston Marathon bombing. Unlike the Sandy Hook coverage, though, social media was used properly and actually helped in the coverage of the tragedy. Many news outlets, including the Boston Globe, used Twitter to break the news of the bombing. In this case, social media provided news outlets an opportunity to alert the public of possible danger. It did not even take the Boston Globe, which won the Pulitzer Prize for its coverage of the events, ten minutes to get the news of the bombings out on Twitter. Twitter allowed the newspaper to update its audience immediately. It’s about how we use it. When reporting on tragedies—or anything really—social media is neither inherently helpful nor inherently harmful. When used properly, it allows for news outlets to constantly update the public with the latest events surrounding a tragedy. When used incorrectly, however, it can wrongly accuse someone for committing terrible crimes. Even with the issues journalists have had with social media during times of uncertainty and tragedy, the power of social media outweighs the potential problems with it. Nowadays, the public craves constant updates and new information, and there is no doubt that social media is the quickest way to keep the public informed. The 24-hour news cycle has made covering disasters more difficult. However, the media has a tool in social media. It’s simply a matter of how the media uses it. Just wanted to let you know about a great opportunity I have just come across. This company is looking for experienced social media users for positions that pay really well. What you have shared is very valuable and helpful. All the information you have shared gives me more insights on this. Thank you for sharing. Keep it up! Would like to see more updates from you soon.